Get involved and stay on the cutting edge of San Francisco culture. Achieve at SF State! New multi-service resource center now open for College of Liberal & Creative Arts majors. 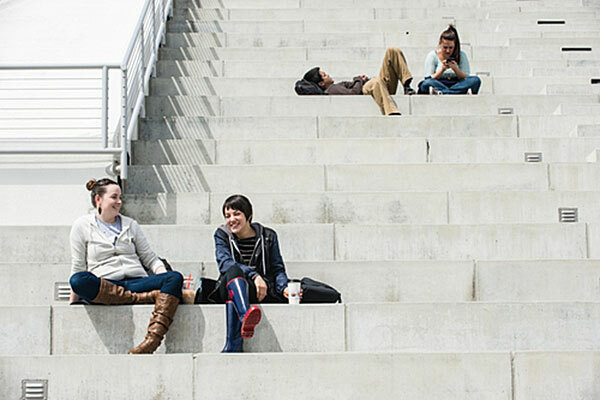 The College of Liberal & Creative Arts offers more 280 scholarships. Our scholarships page allows students to preview opportunities and pursue them through the AcademicWorks portal. There are several labs on campus consisting of computers, audio labs, and printers. Petitions are required to perform some actions at San Francisco State University. More information about petitions procedures within the College of Liberal & Creative Arts. Specialized facilities and instructional spaces support meaningful educational and extra-curricular experiences. ICCE is committed to providing high-quality and meaningful public-service, leadership development, and collaborative problem-solving opportunities for SF State students across the university. Enroll in a Community Service Learning course, find out about internships and employment, discover a variety of student resources to supplement your academic experience. Metro students receive individualized tutoring and advising to help them become the next generation of urban educators. They learn to write and speak with confidence and power, master teaching topics, and think critically about real-world issues.